Barbour Lockton Waterproof Breathable Jacket in clay. This updated version of the Darley jacket, the Barbour Lockton jacket is part of the Barbour Country collection. 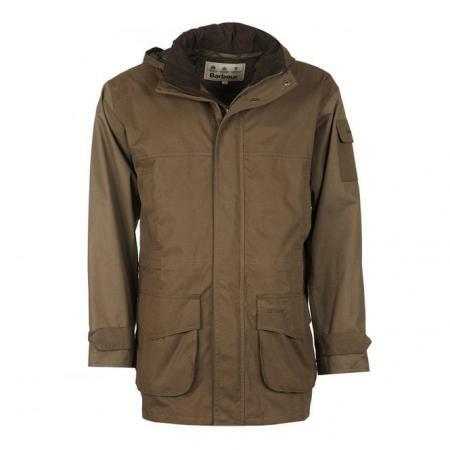 Designed with a new waterproof finish this jacket also features a fleece lining, to keep you dry and warm! With an adjustable drawstring waist the wearer can achieve the perfect fit and a detachable hood is perfect for when the weather is brighter.